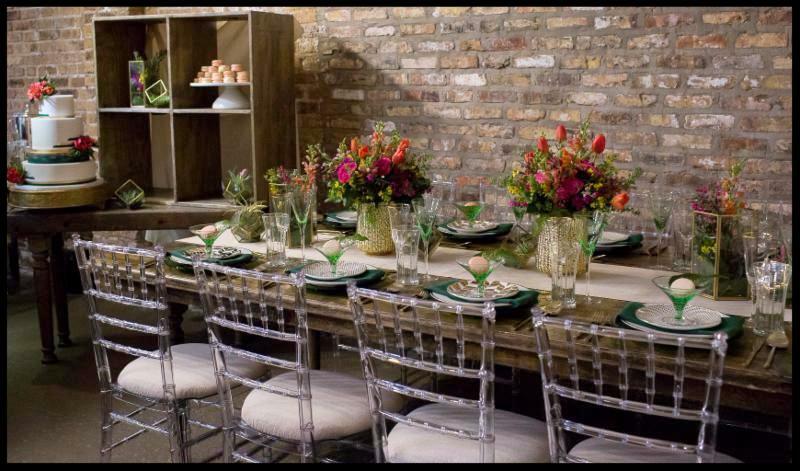 Sophisticated Elegant Greens was the feel created for our most recent Guest Designer Table, when Carlene Smith, owner of Naturally Yours Events, came in to create a table inspired by Earth Day and the Pantone color of the year - Greenery! 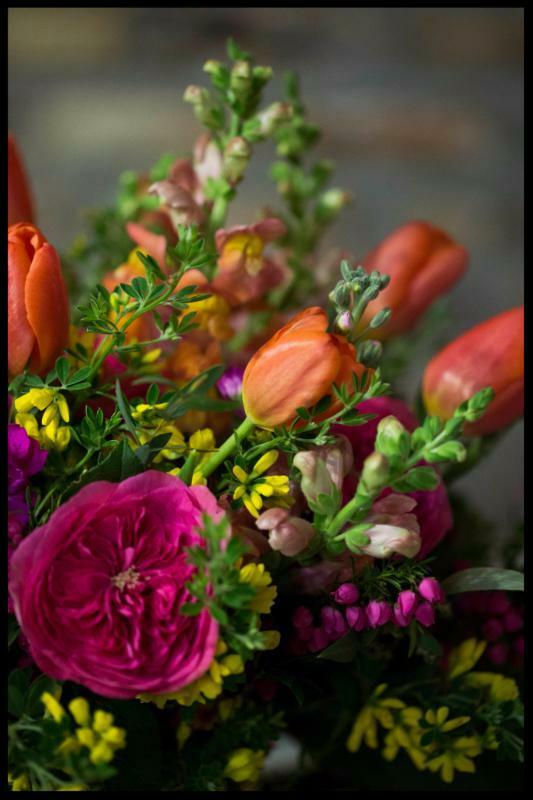 Naturally Yours Events is a long time member of the Green Wedding Alliance - a community of environmentally and socially responsible vendors within the wedding industry. But it was important to Carlene that she showed being green doesn't always mean having to have a "rustic" wedding. 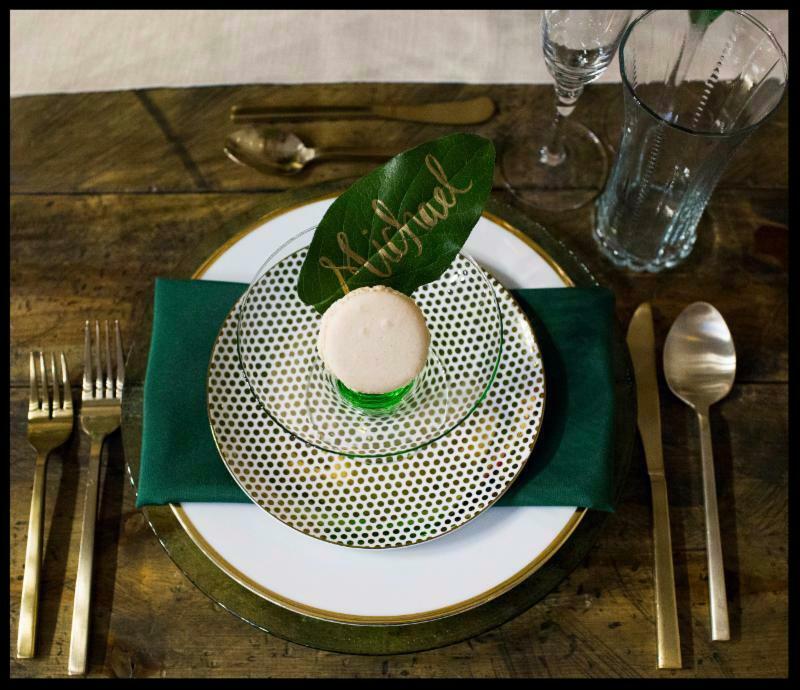 Her table has the green accents for Earth Day complimented by gold accents as shown above with our Emerald Trumpet Goblet and Fine Gold-Rimmed Flute. She began creating her elegant design by picking some of her favorite gold pieces from our showroom- our new gold 8" plates in the Gold Dot and Gold Leaves patterns. Not being able to pick which one she liked more, she decided to alternate them between the place settings. 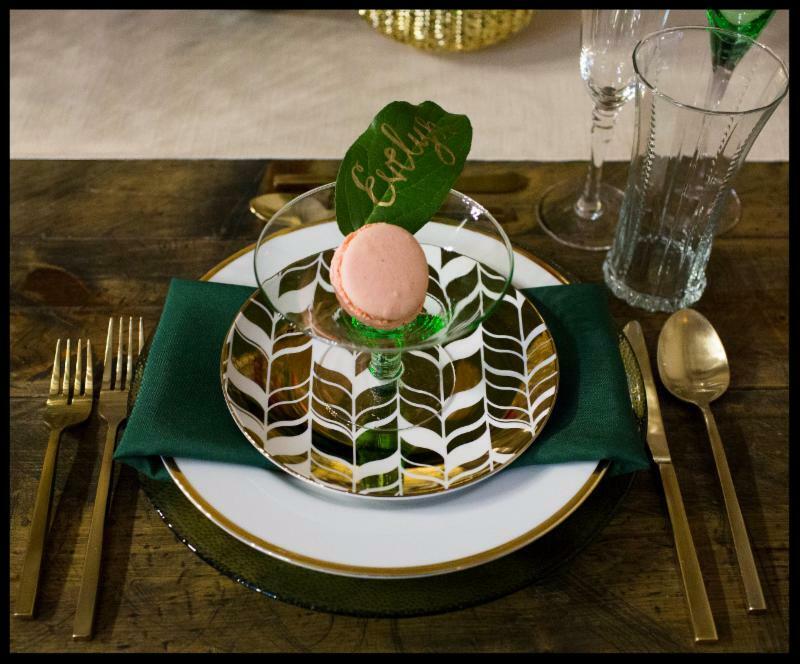 She paired these with our brushed gold flatware, and chose a gold rimmed dinner plate to complement them. 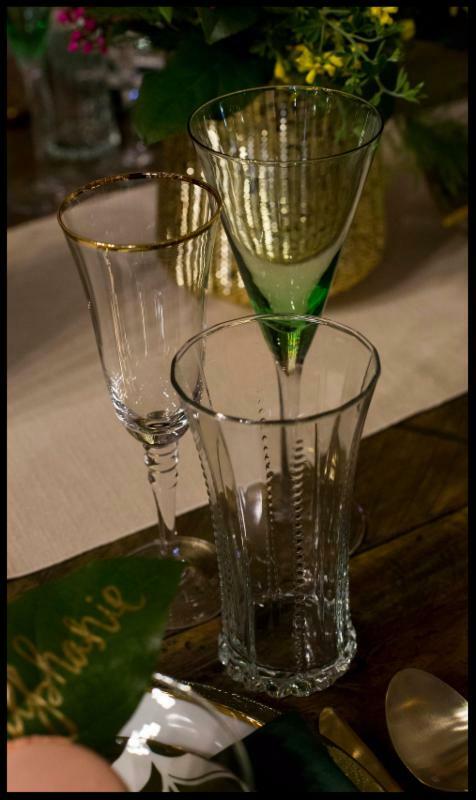 She then started layering in several different green tones: from the light Emerald Jewel-Tone Buffet Plate to the Hunter Shantung napkin to the bright tones of the Emerald Jewel-Tone Martini/Compote. Carlene tapped fellow Green Wedding Alliance members to be her partners on this project. 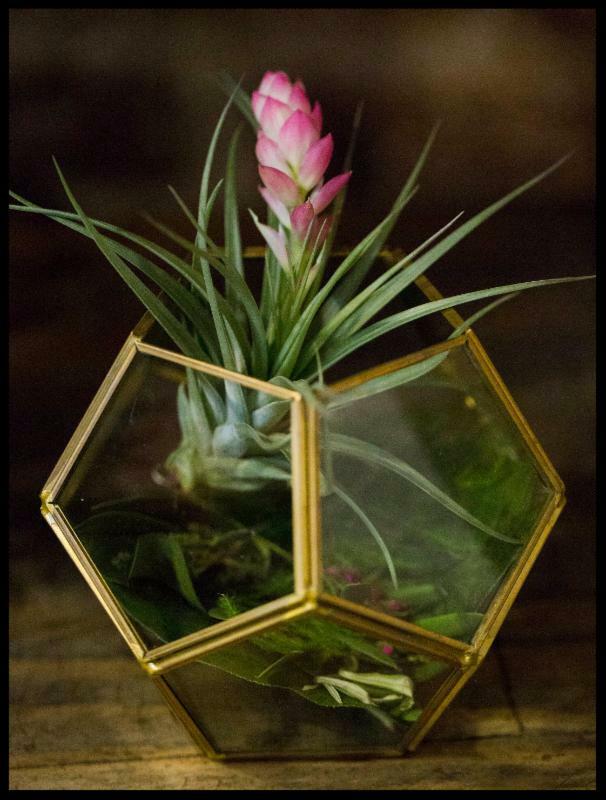 Working with Flowers by Stem, they were able to create more Earth friendly centerpiece options by not using floral foam (the green styrofoam often found in the middle of centerpieces to hold the flowers - which is toxic to not just the environment but also humans), and by including green succulents and air plants which are longer lasting and can often be reused or repurposed. 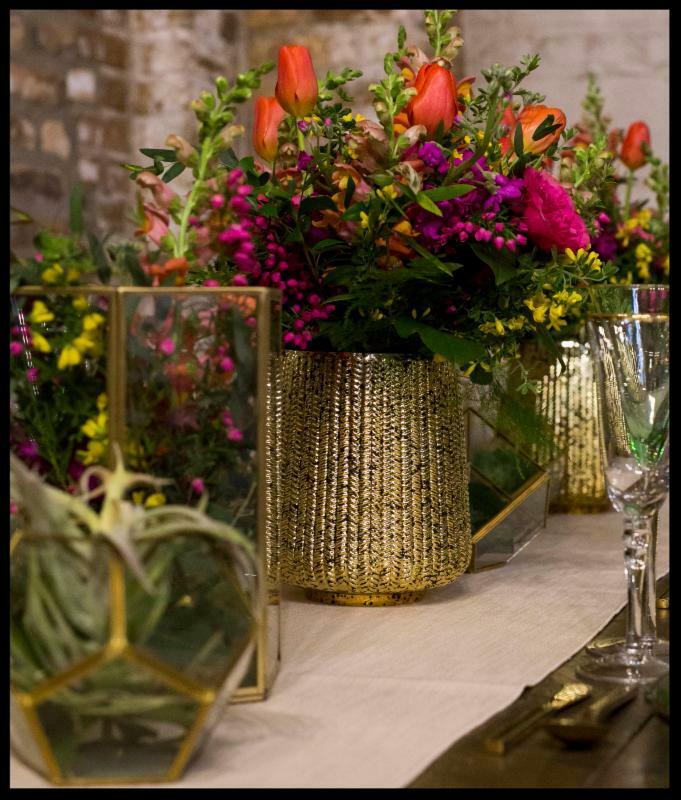 Placing the floral and succulents in gold rimmed terrariums and bright gold metallic vases tied in the gold accents on the table settings. 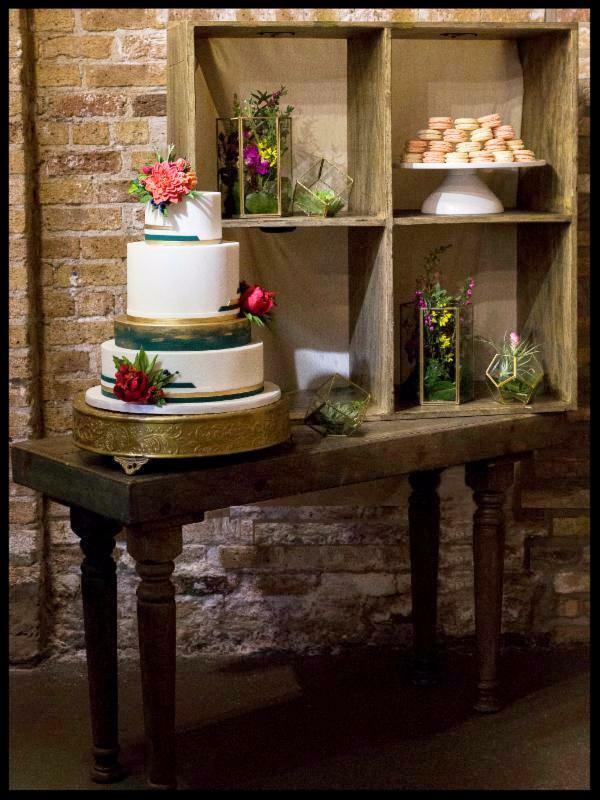 Carlene created a dessert display using our Aged Farm Wood Back Bar and Table to present the cake and macaroons provided by Elysia from Elysia Root Cakes. The beautiful 4 tier cake - sat atop our Gold Cake Plateau - had green and gold brushed accents, and incredibly detailed sugar flowers to match the bright pops of color in the centerpieces. 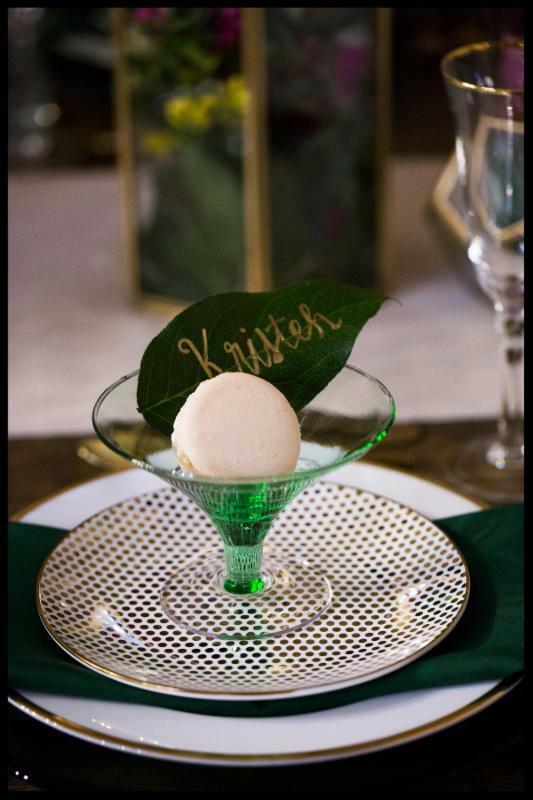 Heather Decamp, from Heather Decamp Photography, caught all the details, down to the hand made leaf place card and macaroon at each seat. Thanks to the whole team for creating a beautiful spring display in our showroom to help us celebrate Earth Day tomorrow! This is definitely a more sophisticated green wedding!